Is This a Bed Bug Bite? Question: Is This a Bed Bug Bite? A bed bug can bite you on any part of your body, but will generally go for exposed skin. Wearing extra clothes to bed can help protect you from a bed bug's bite. A bite from a bed bug will look different on everyone, making them difficult to identify. 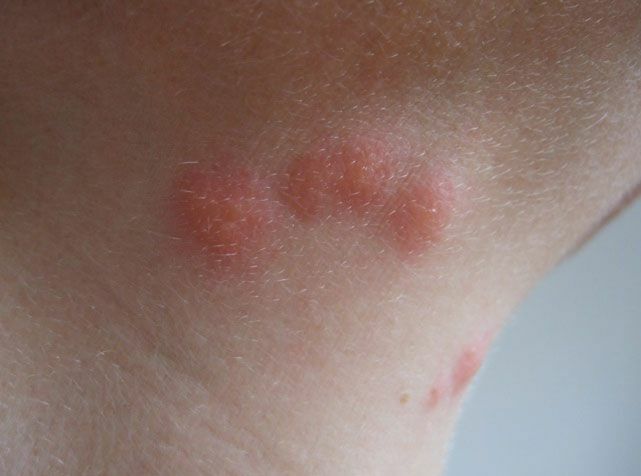 Even doctors often diagnose them as a rash, since many people have an allergic reaction to the bite of a bed bug and break out in red, inflamed, itchy skin. Some people will have raised bumps wherever they were bitten; others will just have a generalized red area. In most cases, the bed bug bite will itch like crazy. Are Bed Bugs in My Hotel? How Much Does It Cost to Run a Bed and Breakfast? What is a Bed Scarf? Do You Know Its Purpose?